Our “ultimate pinot noir project” is based on a Burgundian grand cru model, with the goal of producing the finest pinot noir and chardonnay. Vineyards are living, complex, ever-evolving systems. Our experience with the land spans decades, yet we continue to learn as we strive for more profound fruit expression from each block, row and vine. As our art collection evolves within the estate, we further appreciate the significance of a work in progress. The interplay between our wine production and art collection expresses beauty through a singular sense of place. 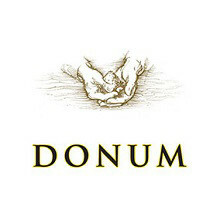 The Donum Estate is owned by three European friends who share a passion for wine and art.